There are a few features that you may need to change on your Sky+HD box and the only way to do this is to access the hidden installer menu. Most commonly this is used to change the RF output, but is also commonly used for Sky rebuilds and changing the LNB settings for when the box needs to be installed in a single feed mode. 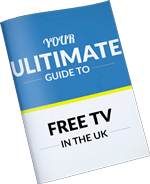 This video shows you how to access the hidden installer menu on Sky+HD boxes.& Sky HD boxes. The process in very similar of old standard Sky boxes and different for Sky Q boxes. This will reveal the hidden installer menu.